중간지점이나 학교 근처에서 만나는 게 어때요? = How about meeting half-way or at school? 여기서 자습할 수 있어요? = Are you able to (self-)study here? = I showered, spread on lotion, and did my makeup. For today, especially, I applied my favorite lipstick. This word appears in Korean Sign Explanation Video 13. Notes: This sounds ridiculous, but 등 can be used to have seemingly opposite meanings. The context usually makes it clear which is being used. For example, in the second usage, there is usually some specific indication of the amount of things that are being acted on. As you can see in the example above, the use of “세 개국” indicates that “three countries” will be traveled. 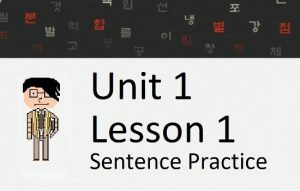 In this lesson, you will learn about the noun “수” in Korean. With this, you will learn how to say “I can” and “I can’t” with the constructions ~ㄹ/을 수 있다 and ~ㄹ/을 수 없다. Let’s get started. 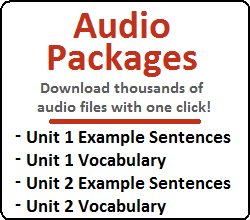 By adding ~ㄹ/을 수 있다 to the end of a clause/sentence, you can create the meaning of “one can….”. In both of the sentences above, the pseudo-noun follows a descriptive word, and thus, must be a noun. However, these ‘pseudo-nouns’ cannot be placed anywhere but these specific locations, and therefore, are not true nouns. ‘수’ in ‘~ㄹ 수 있다’ is also a pseudo-noun. If you look up “수” in the dictionary, the definition will be something similar to “ability” or “capability” but it is not used as a stand-alone noun. Like “지” and “적,” it needs to be described by something. 오늘 밤에 만날 수 있어요? = Can you meet tonight? 그것을 빨리 할 수 있어요? = Can you do it quickly? 기한 안에 다 할 수 있어요? = Can you do it all within the time limit? 그것을 빨리 해 줄 수 있어요? = Can you do it faster (for me)? 문을 열어 줄 수 있어요? = Can you open the door (for me)? 그것을 좀 빨리 해 줄 수 있어요? = Can you do it a little bit faster (for me)? 문을 좀 열어 줄 수 있어요? = Can you open the door (a little bit) (for me)? Notice that the future tense conjugation of ~겠다 is used when talking about something you currently don’t understand. They’re essentially the same thing (이해할 수 없다 vs. 이해하지 못하겠다), and you don’t really need to worry about distinguishing them too much. However, it is something that I learned when I was studying, so it might be something that you should consider as well. Because 수 is a noun, particles can be attached to it. The three most common particles that are attached to “수” are ~가, ~는 and ~도. 그것을 어떻게 할 수 있어요? 그것을 어떻게 할 수가 있어요? = How can you do that? 그것을 어떻게 할 수가 있어요? = How can you possibly do that? Your understanding of this nuance can only really develop with exposure to the language. As you have deeper conversations with Korean people, I hope you might discover this same nuance that I feel. 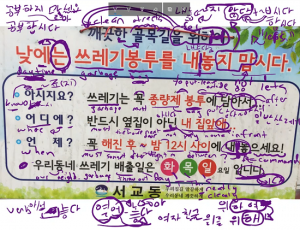 Explaining the nuance of using ~는 and ~도 with “수” is complex and will be discussed in later lessons. For now, I suggest not going ahead and studying these complex usages. 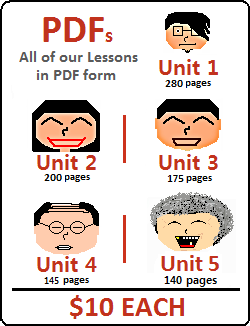 Instead, I suggest sticking to the order of the lessons that I have them presented. If you are dying to see how these particles can be used with “수”, you can check out Lesson 104 and Lesson 107.